Mohsen Keiany – Muslim Museum UK – Uncover the 1400 year relationship between Britain and Islam. Explore the history and heritage of Muslims in Britain. 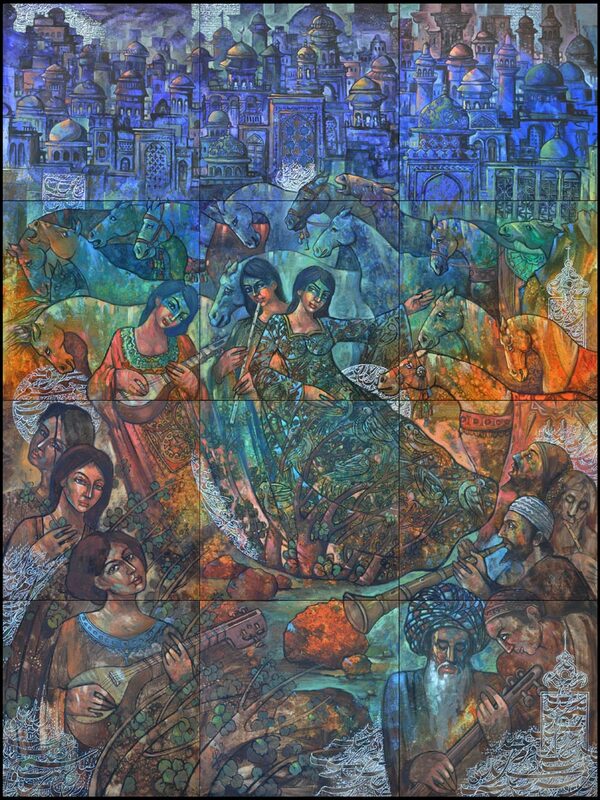 Born in Shiraz, Iran, Dr Mohsen Keiany moved to Britain over 15 years ago to established a successful career as an artist and art lecturer. He has exhibited his paintings in more than 60 exhibitions in the United Kingdom and world-wide. His work is crowded with people, animals and elements from the natural world. Black outlines, bright colours and the absence of perspective and shadows reflect Persian techniques. The bright colours remind us of tiles and stained-glass windows in Persian architecture. The warm colours represent the sunny climate of Iran. Ancient references are inspired by Mirlic, Seyalc and Lurestan archaeological sites. 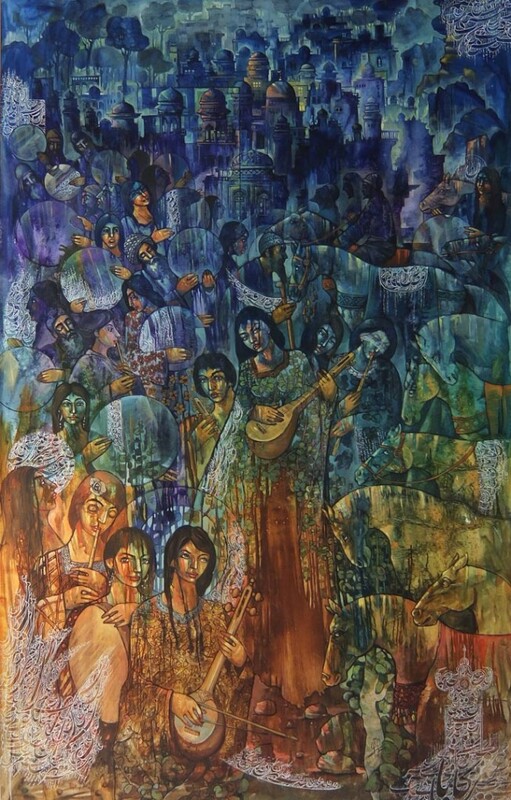 Recently he has scored poems into the surface of his paintings, which demonstrates his loyalty to Persian poetry. His art is rhythmic: the observer’s gaze moves from one object to another as it travels to all parts of a painting. The music of Persian instruments combines with the sounds of horses and goats that run across an image. 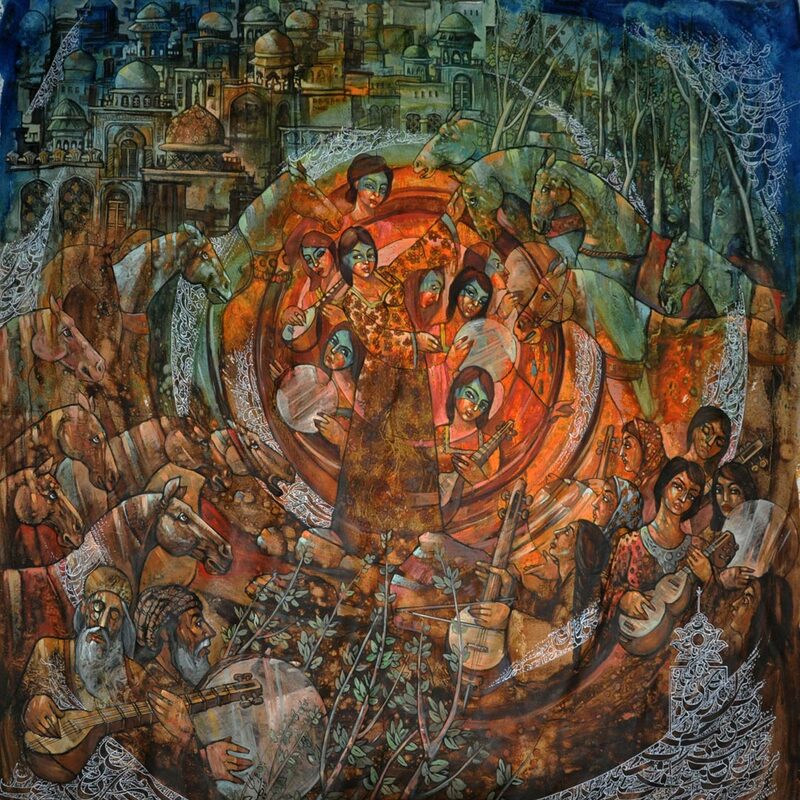 Mohsen tries to present spirituality in his paintings. A necessary part of his work is to represent the Creator as the most delicate form of consciousness in the universe. Those who seek spiritual knowledge need to purify themselves so that they can know God. Mohsen has found art as the best guiding path towards spirituality.